The newly launched Royal Enfield Bullet 350 Trials gives enthusiasts the option to tame the beaten paths or roll in style in the city. Besides, at a price of Rs 1.62 lakh (ex-showroom Delhi), it’s the most affordable scrambler you can get your hands on, well, at least in India. That said, there are a couple of other bikes around the same price bracket that could prove to be better options. As they say, it’s always better to keep your options open rather than make an impulsive buy. 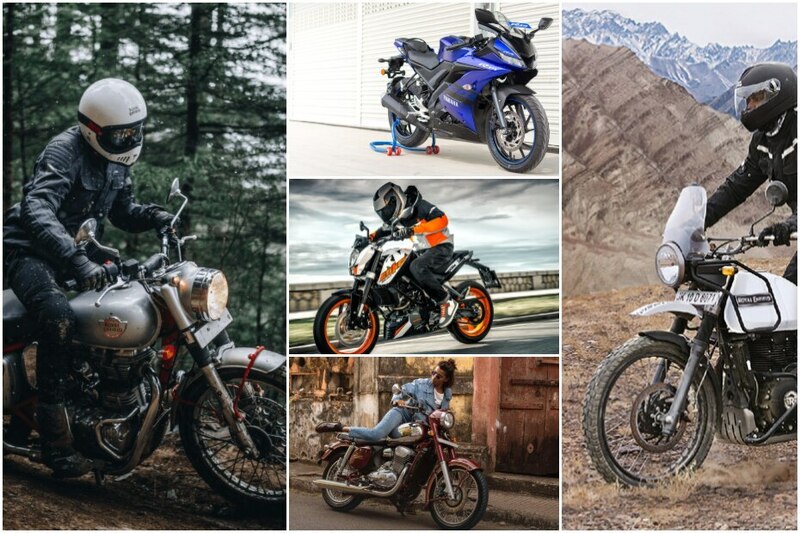 So, here’s a list of motorcycles that you could consider instead of the Royal Enfield Bullet 350 Trials. Granted, this isn’t a classic motorcycle. But, it may appeal to younger buyers who are looking for a sporty yet comfortable ride. Besides, the Yamaha FZ25 has enough power on tap, a softly sprung suspension setup to glide over potholes and ergos that’ll go easy on your back. A perfect city dweller in other words. Additionally, much like the Trials, the bike gets the safety net of dual-channel ABS as standard. Apart from this, the FZ25 features an all-digital instrument console, LED lights at both ends and fuel-injection which provides better throttle response. Powering the bike is a 249cc, single-cylinder mill that produces 20.9PS of power at 8,000rpm and a peak torque output of 20Nm at 6,000rpm. It comes mated to a 5-speed transmission. On the other hand, if you’re a cornering junkie, the Yamaha R15 V3 makes for the perfect buy. It’s a fully faired bike with exceptional handling capabilities, a motor that offers power throughout the rev band and a design that’ll make anyone weak in the knees. It also comes packed with features such as dual LED headlights, LED tail light, a full-digital instrument console with a host of readouts, a slipper clutch and dual-channel ABS. It draws power from a 155cc, liquid-cooled, single-cylinder engine that gets Variable Valve Actuation (VVA). Essentially, VVA allows for better low-end grunt and top end performance. In terms of power figures, the motor makes 19.3PS at 10,000rpm and 14.7Nm at 8500rpm, mated to a 6-speed transmission. Performance, affordability and looks were three words that perfectly summed up the KTM 200 Duke. Unfortunately, thanks to the increase in road tax and insurance costs, the 200 Duke now costs 1.84 lakh on-road. A rather expensive proposition for a 200cc bike. Nonetheless, the bike still packs a ton of goodies that will make it worth every penny. For instance, its full-digital instrument console features a slew of information like real-time fuel efficiency, average fuel efficiency, service indicator, distance-to-empty gauge, gear position indicator, clock and a side-stand warning light. And, that’s over and above the conventional readouts. Then you have the quintessential KTM orange colours that draw attention no matter where you go. On the mechanical front, the bike gets premium upside-down forks, a trellis frame paired with fat rubber for better stability and riding dynamics. It uses a 199.5cc, liquid-cooled, single-cylinder engine that generates 25.1PS at 10,000rpm and 19.2Nm at 8000.rpm, paired to a six-speed transmission. We couldn’t possibly sideline Royal Enfield’s arch-rival, could we? The ‘Jawa-Jawa’ follows the same neo-retro design language as its competition. And if you like the old ways, the Jawa is sure to strike a chord in your heart. Agreed, it isn’t the most feature-rich motorcycle here, but it’s the bike’s classic appeal that garners a huge cult following. At its heart lies a 293cc, liquid-cooled, single-cylinder motor that puts out 27.37PS and 28Nm. It gets a 5-speed transmission and there’s dual-channel ABS as an option. Other than this, a low seat height of 765mm should be a boon for shorter riders. While the Bullet Trials should do well on easy dirt trails, for serious off-road junkies, Royal Enfield offers the Himayalan-FI. It’s safe to say the BSIV version is a pretty big step up from its predecessor. Thanks to the bike’s fuel-injection system, the throttle response is a lot smoother, the engine feels less vibey and there’s enough low-end grunt to overcome most obstacles while off-roading. Unlike the Bullet 350 Trials, it gets proper long-travel suspension, a tall windscreen, an informative instrument console and a sump guard as standard. It’s a proper adventure tourer, to say the least, and justifies its price tag pretty well. Powering the Himalayan is a 411cc, liquid-cooled, single-cylinder mill that dishes out 24.83PS at 6,500rpm and 32Nm at 4500rpm, that’s hooked up to a 5-speed transmission. While that accounts for most of the options around the Rs 1.6 lakh price bracket, you can always stretch or cut down on your budget in the hunt for the perfect bike. It ultimately depends on the usage of the bike and how much you’re willing to lighten your wallet.